Mick Ronson's humble beginnings in Hull, England underpinned his values and modest, unpretentious personality as he worked with the city's council whilst pursuing his craft with consummate dedication. Soon word of his talent reached David Bowie, who grabbed at the chance to work with Ronson, in what would become a career-long association, alongside collaborations with other greats such as Bob Dylan, Ian Hunter, Lulu, Lou Reed, Morrissey and John Mellencamp. The Man Who Sold the World, Aladdin Sane, Hunky Dory, The Jean Genie - all were constructed with Ronson on guitar. 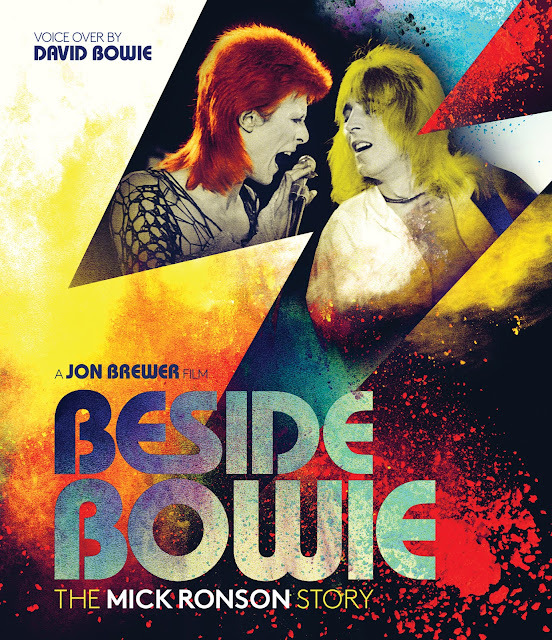 Producer and director Jon Brewer commented, "Both Mick Ronson and David Bowie together were the ultimate duo. They performed and recorded like magicians and created masterpieces that will live on forever."